Artistic aesthetic is one of the defining elements of a memorable wedding. The feel of the event needs to be established before any foundations are laid down, and we at Successful Affairs are constantly in tune with the latest trends in New York wedding aesthetics. With the proper understanding of creative events, we can bring to life your dream New York wedding no matter how simple or complex your vision is. 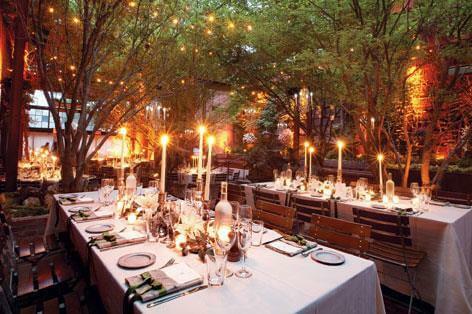 Below are four of the most popular artistic elements for weddings in the city that never sleeps. New York’s buildings are the metropolitan equivalent of fairytale castles. They are known for their spectacularly colorful skyscrapers and the romance of overlooking the wide-ranging city environment. We find here at Successful Affairs understand that New York weddings tend to benefit from featuring the high-rise environment, whether it is the basis for the style or merely a highlight of the background. On one side of the New York’s majesty is the modern architecture. On the other side are the areas with more historical significance. Buildings lasting the 19th century can be an incredible setting for your special day. Several churches, galas, gardens, ballrooms, and hotels carry various artistic influences, and therefore provide a wonderful look for your wedding. With New York being such a melting pot of various cultures, it is always a wonderful idea for a wedding style from other cultures and countries. Indian, Chinese, and European influenced weddings bring a unique life to your marriage celebration. These can be set up in large or intimate venues depending on your preference. Since Marriage is a declaration of love, it is a wonderful idea to portray your home culture as an expression of who you are as a couple. One example is our recent Indian wedding, which can be found here. With tastes ranging from classical to modern influences, it is important to remember that your wedding is still all about your spouse and your love for them. At the end of the day, the greatest style choice is your own personal one. Whether you prefer a gothic, art deco, or modern aesthetic, your love is best portrayed by what you and your spouse prefer. So no matter if you want a New York wedding in a church, rooftop, or library, we at Successful Affairs will surely make it feel like a dream come true when you see each other cross the aisle.